on the corner of Tropicana and S. Eastern Ave.
Necklaces, bracelets, watches, rings and other items that are made of gold are considered 'Fine Gold' and will fetch a higher prices when sold to Vegas Gold Buyers. Bring your Fine Gold Jewelry in for appraisal today! Broken pieces of necklaces, clasps, single earrings and other odd items that are made of any type of gold qualify as 'scrap gold'. At Vegas Gold Buyers, we follow market updates to give you the best price possible for your scrap gold pieces. 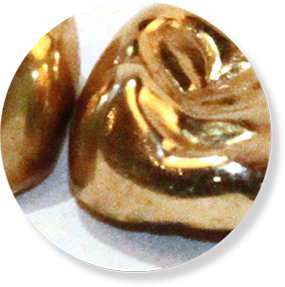 Widely used as a means to fix teeth, dental gold is a type of scrap gold that Vegas Gold Buyers will purchase from you at current market prices. Selling your unwanted gold is easy! Just bring in your gold items in any condition. When you arrive, let any one of our staff know that you would like to sell your jewelry or other items and our gold buyer will inspect your items while you wait. Our buyer will make you an offer. If you accept, walk away immediately with cash in your pocket! The entire transaction normally won’t take more than just a few minutes. 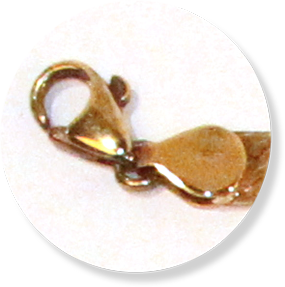 We buy any item made of gold or containing gold – jewelry, coins, necklaces, bracelets, rings, or even scrap gold you may have including dental gold and broken pieces of gold. The condition of your items won’t impact the value. And, we accept all purities of gold – 10K, 14K, 18K, 22K. Find out the True Value of your silver items! Don’t worry if you’re not sure of the type of gold you have. 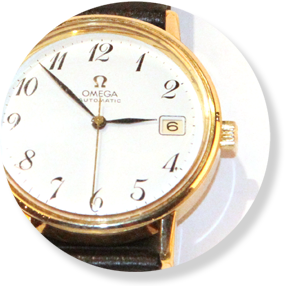 Yellow gold may contain alloys (especially if your item is 18k gold) including copper and silver. Other combinations of alloys like copper, aluminum, palladium and cadmium result in all sorts of varieties of gold including white gold, yellow gold, rose, red and pink gold, spangold, green gold and grey gold – we purchase all types of gold. We use real-time gold prices according to the US stock market and pay top dollar to get you the maximum amount possible for your fine gold, scrap gold and dental gold.We also pay top dollar for silver items, such as sterling silver flatware and jewelry, platinum, and more. If you think we might be interested – bring it in! Vegas Gold Buyers has been purchasing your gold, silver, rare coins, jewelry and gems for over 30 years in the Las Vegas Valley. Our reputation as the fair, honest and legitimate buyer comes from our dedication to our customers, our integrity and our reliability. I went here to trade in some old gold jewelry. The staff was friendly. The process was transparent and quick. I was offered a great price. I'd recommend these guys. I needed to sell my wedding ring and Vegas Gold Buyers made the process simple and comfortable. I worked with Ted the owner. This was a big decision for me and lots of anxiety came with it. Ted was courteous and thoughtful with my situation which was important to me!. I also received a current value that was absolutely fair. It was a win win! Thank you again Ted. Offered me *double* what another local rated gold buyer had offered me on some old jewelry I was looking to rid myself of. Very pleasant folks behind the counters, and open about the entire transaction. They are located inside Lynn's which could throw you off if you're not expecting it, but definitely worth the trip.